Nominations, which must be in writing and comply with the registered rules of the Organisation, may be made at any time from 9:00am Australian Eastern Standard Time (AEST) 10/09/2018 and must reach the Returning Officer via the lodgement method(s) stipulated below not later than 12:00pm Australian Eastern Standard Time (AEST) on 24/09/2018. 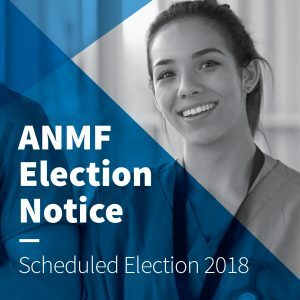 A link to the AEC Election Notice and Nomination Form (which include details on how to lodge nominations) are provided via links at the end of this bulletin. Prospective candidates and nominators should verify their financial status and any other qualifications required by the Federation’s rules prior to lodging nominations. Nominations cannot be withdrawn after 12:00pm Australian Eastern Standard Time (AEST) on 24/09/2018. Candidates may submit a statement (together with a photograph of the candidate if required) to be included with ballot material. Such statements shall not exceed 200 words. Only statements which comply with the Rules are received by the Returning Officer by 12:00pm (Australian Eastern Standard Time AEST) on 01/10/2018 can be accepted. The ballot, if required, will open on 22/10/2018 and close at 5:00pm Australian Eastern Standard Time (AEST) on 12/11/2018.